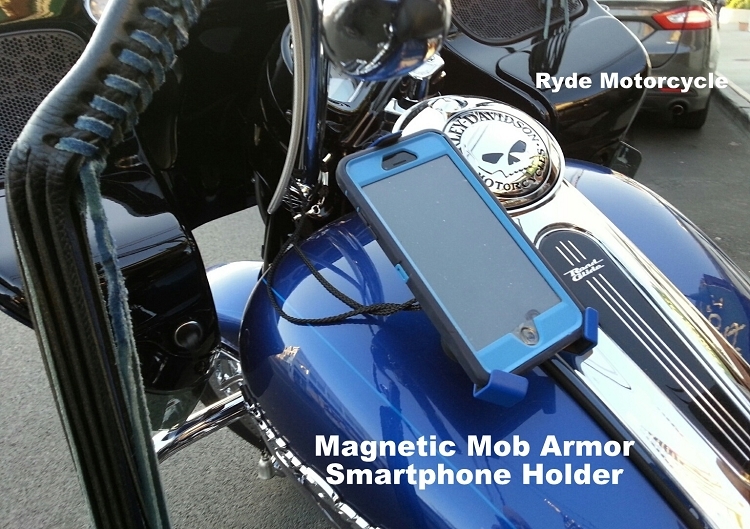 Mob Armor has created an Aluminum alloy, magnetic mount smartphone holder for your motorcycle or car. Designed to securely mount to all motorcycles, off road vehicles, ATV's and cars. 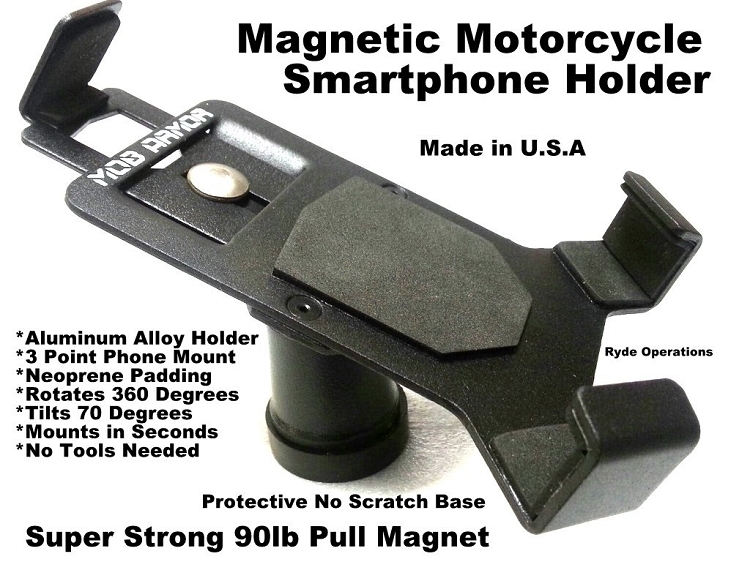 With this magnetic Smartphone Holder you will be able to mount you smartphone to your motorcycle, off road vehicle or car in seconds. 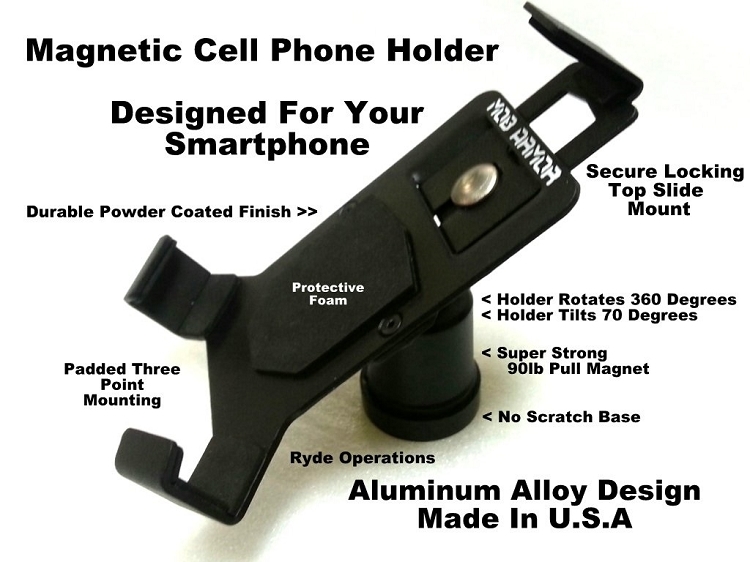 Race proven, this cell phone holder will be the last phone mount you will ever need! 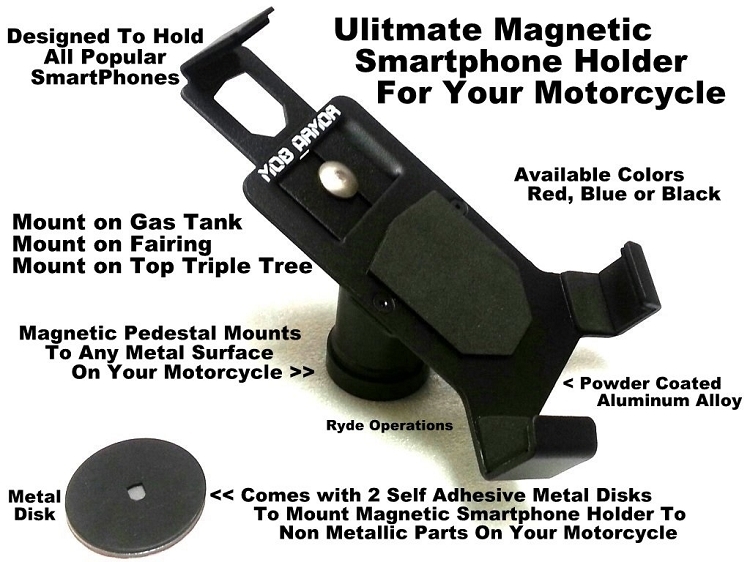 Phone Holder Securely Mounts to your motorcycle, off road vehicle or car with Neodymium Magnet. The powerful magnet has a pull force over 90lbs. 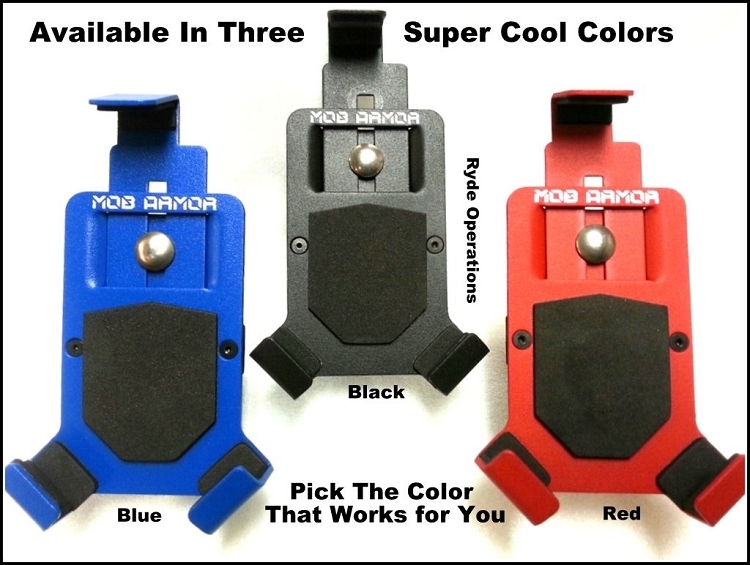 Phone Holder made from durable 5052 aluminum alloy with a durable powder coated finish. Available in Black, Blue or Red finish. Secure 3 point cell phone mounting allows easy access to your phone's controls, jacks and ports. Neoprene padding for secure fit and vibration absorbing protection. Adjustable Sliding, Locking Top Mount design allows for secure and easy mounting of your smartphone. Our magnetic cell phone holder was designed in USA by racing enthusiasts who needed to hold their cell phones in the rough and tumble world of off road desert racing. Mob Armor has made a world class product and offer a lifetime warranty. You can buy in confidence because they are confident that their Smartphone Holder will give you a Lifetime of Satisfaction! What Size Smartphone Holder Should I Order ? There are Two Size Holders Available.